I was raised by a public school teacher and a public school principal and spent every school year from kindergarten until I graduated with a bachelor’s degree in journalism in public school buildings. My aunt was a high school English teacher and my grandma worked for a board of education – both in public school districts. But, of course, making plans for my life has never really worked. Most every time I’ve said “never,” God has said, “How about this?” He’s led me on paths I never expected and some I never thought I wanted. 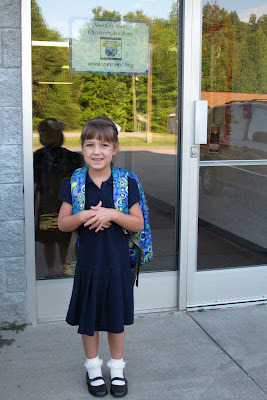 My daughter recently finished her first year of kindergarten – at a small, private, classical Christian school. And she’s looking forward to first grade there. I didn’t even know what classical meant educationally speaking until the year before we enrolled her. 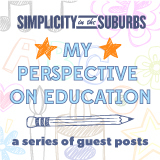 But when the principal – well, she’s called the head of school, but, you know, I was raised in public schools – described the school’s philosophy and mission and introduced me to the curriculum, I sat there listening to her sum up my beliefs about education that I hadn’t yet been able to put into words.